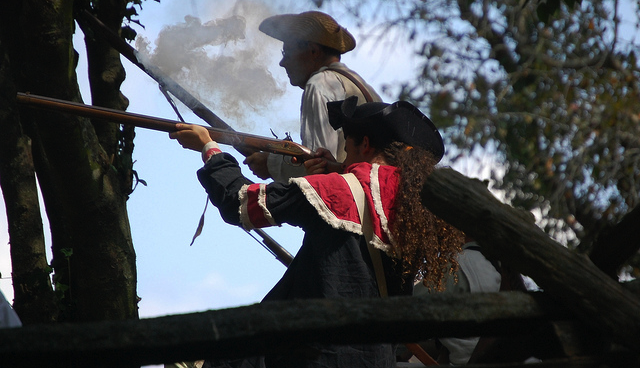 Is Your Nonprofit Ready for the Mobile Revolution? There is no shortage of conversations about the “rise of mobile” these days. If you follow technology news, or even the markets, you’ve likely heard how consumer Internet companies are grappling with the increasing number of people accessing the web through mobile devices. Skepticism about Facebook’s ability to grow advertising revenue on mobile was a big part of the reason its stock floundered early on. More recently, the Menlo Park Company’s ability to show progress in monetizing mobile has led to a big rise in its stock price. So why are the stock prices of the world’s largest consumer Internet companies so sensitive to concerns about mobile? And more importantly, what does this have to do with you as a nonprofit interested in maximizing fundraising? 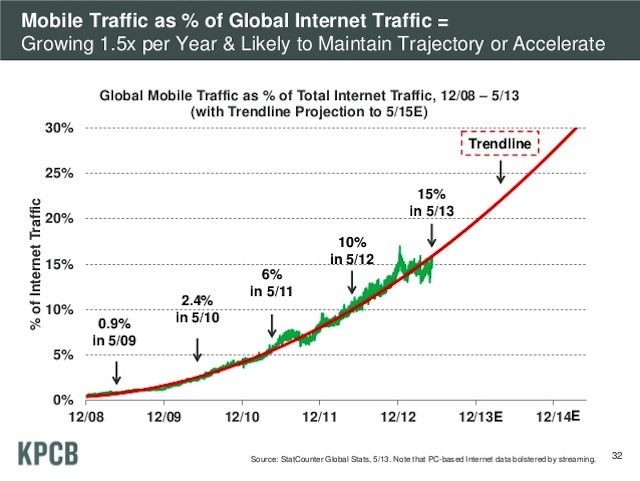 As you can see from this slide from Kleiner Perkins Caufield & Byers’ slideshare deck on 2013 Internet trends, the growth in mobile usage as a percentage of overall Internet traffic has been nothing short of explosive. Four short years ago less than one percent of users were accessing the web through mobile devices. That number now stands at more than 15%. In fact, a recent article in Mashable, pegged the percentage of Internet traffic coming from mobile devices in 2013 at a whopping 17.4%. The takeaway is self-evident. Mobile usage is growing aggressively. This massive growth is why the stock prices of companies like Facebook have been so sensitive to concerns about “monetizing” mobile. Of course, as a nonprofit, you don’t have stock and you won’t be impacted as quickly as a company with hundreds of millions of active users, BUT that doesn’t mean that you will be insulated from the growth in mobile browsing. The simple truth is that more and more people are accessing websites from mobile devices; if your website and online fundraising capabilities fail to keep pace, you will miss opportunities to connect and convert. We’ve mentioned before that the members of the 80 million strong Millennial generation are on the cusp of becoming leading financial supporters of our nonprofit institutions. As this shift takes place, it’s becoming more important for nonprofits to stay on top of Millennials’ unique characteristics– and one of those unique characteristics is their rapid adoption of smartphones. As of late 2012, 72% of Millennials owned smart phones compared to 61% of Gen Xer’s and 39% of younger Baby Boomers. One reflection of this widespread adoption of smartphones is the recent finding in the 2013 Millennnial Impact Report that 80% of Millennials prefer nonprofits that have mobile optimized websites. Why is this noteworthy? Because it lends further credence to the idea that the shift to mobile will persist well into the future. The numbers clearly show that more people are accessing the Internet through mobile devices. They also show that the Millennial generation is at the forefront of this movement. It seems very likely, therefore, that as the Millennials move toward their peek earning years (and younger generations come up behind them) an increasing percentage of online interactions with nonprofits will be mediated by mobile devices. The bottom line is that your nonprofit needs to be ready for the shift towards mobile or it will face an increasing risk of losing website visitors and donors as we move forward. If you’re not convinced that donors are already using mobile devices to make contributions, consider this nugget from PayPal: the total value of mobile donations made through PayPal in December of 2012 was 242% larger than in December of 2011. As mobile usage accelerates, we can expect to see more statistics like this. Without getting too technical, responsive design is essentially a way to ensure that your webpages are displayed beautifully regardless of the device the visitor uses to engage with your site. If someone is on a desktop, they will see the regular version of your site. If someone is on a mobile phone, they will see a version of your site that is automatically formatted to fit (and look great on) a mobile device. The fundraising page to the right is one of our normal fundraising pages on StayClassy. We just shrunk the browser down and took a screen shot. As the window got smaller (approximating a mobile device) the page automatically reconfigured itself to the more limited space. Try it out for yourself by opening up the fundraising page and then shrinking the browser window. Responsive design allows you to create a website that is device agnostic. If you implement it correctly, it won’t matter whether someone is visiting from a desktop, a tablet, or a smartphone. Your visitors will always get a perfectly formatted version of your site. With the increasing prominence of mobile browsing, this approach has obvious advantages! As mobile becomes a larger and larger component of overall Internet usage, you need to start thinking about how your web presence will need to evolve to keep pace. As a first step, conversion pages, like fundraising pages and donation checkout pages should be optimized, but over time you will likely want to make key portions of your site (or your entire site) mobile friendly. It’s beyond the scope of this current post to dive too deeply into the technical side of responsive design, but in the near future we’ll be following up with a separate piece on how your organization can start thinking about approaching this transition!